2015 May « Healthy Foods In a SNAP! Have you ever shopped for food when you were hungry? Even with a grocery list it’s easy to put a few extra things in your cart. Markets try to tempt you with fragrant bakery items and beautiful food displays so you’ll spend more money. So be prepared! 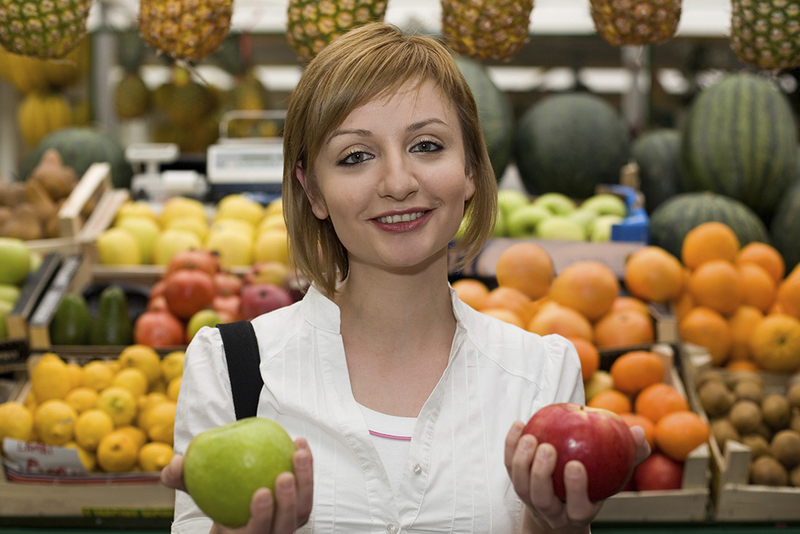 If you don’t have a chance to eat before you shop, grab a piece of fruit or a granola bar and eat it on the way to the store. Or buy a healthy snack at the store and eat it before you begin your major shopping. You’ll find that it’s worth your time. Grocery coupons can save you money, but only if you use them for things you would buy anyway. Most stores have membership cards that give you electronic discounts on their specials at the checkout. Their fliers or websites can tell you the specials for the week. You also can find product coupons online as well as in newspapers and store fliers. If you find a good deal, and the store has run out of that item, ask for a rain check at the customer service counter. But even with coupons, compare prices. Sometimes other brands or store brands are still cheaper! Coupons can be great, but are not always the best buy! Want to save as much as 40% on packaged foods? Try store brands! 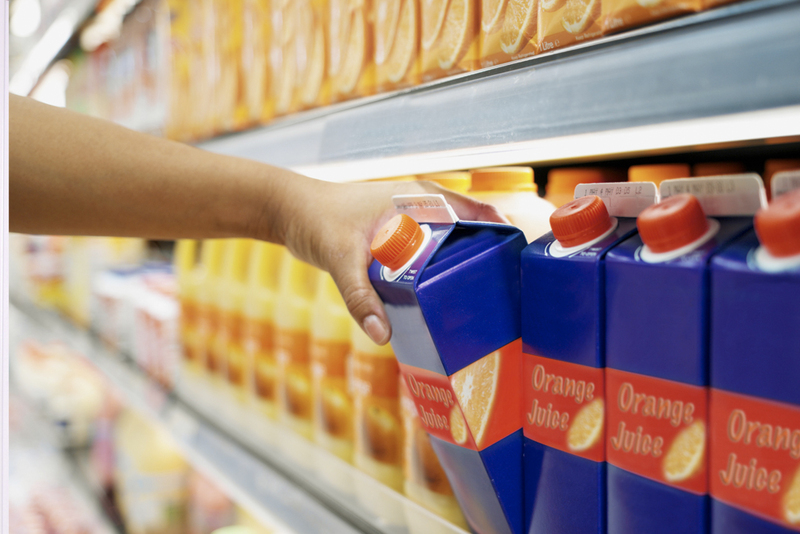 Supermarket chains want their own brands to be as high in quality as possible. In fact, they often contract with brand name companies to sell the brand name products under their own supermarket labels. Supermarkets can sell them for less money since they don’t pay for advertising, and the brand name companies increase overall sales. It’s a “win” for both sides. In a Consumer Reports taste test, 11 out of 21 store brand products tasted just as good as brand-name foods, and another 3 tasted even better. So if you haven’t tried them yet, do it! You’ll probably be pleasantly surprised! 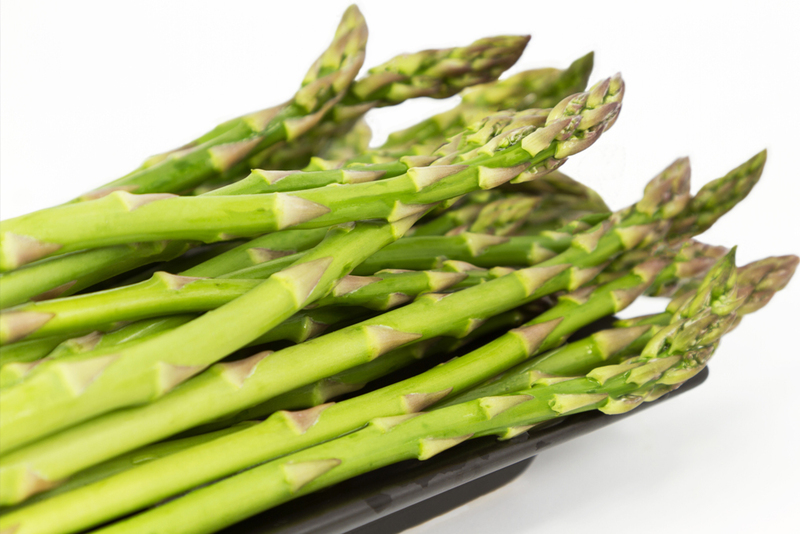 Did you know that Massachusetts grows some of the best asparagus in the whole world? Now is the time to enjoy it! To prepare it, gently break off the cut ends of the spears where they break naturally. Then enjoy it raw, or steam it quickly – just until the spears are tender and the color is still bright. You can also grill asparagus or stir-fry it with a small amount of oil, garlic, and soy sauce. Enjoy fresh asparagus now.